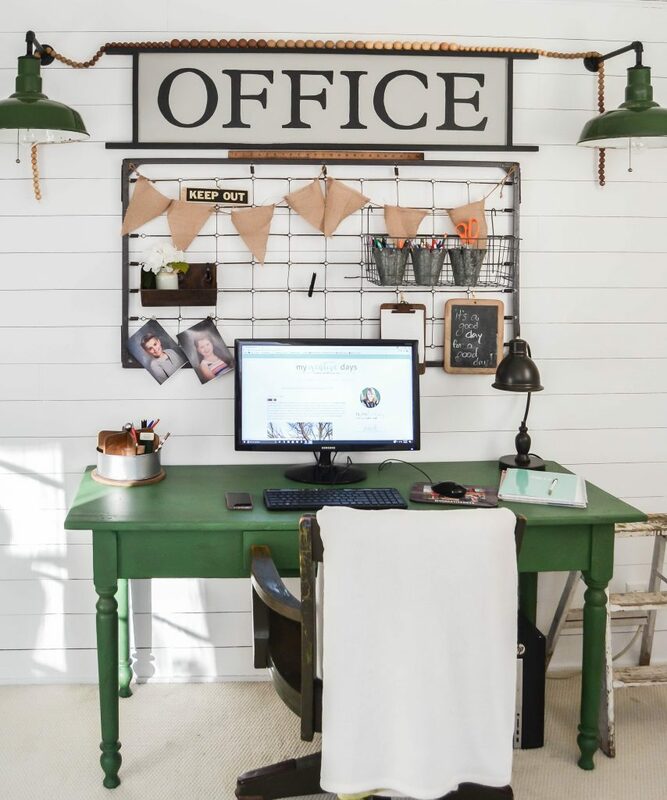 As we were planning the home office makeover on a budget, I was floored when I was researching office signs to hang in the room. I found some beautiful options to hang above my desk and then was let down with all their hefty price tags. And, they were a lot smaller than what I was looking for. 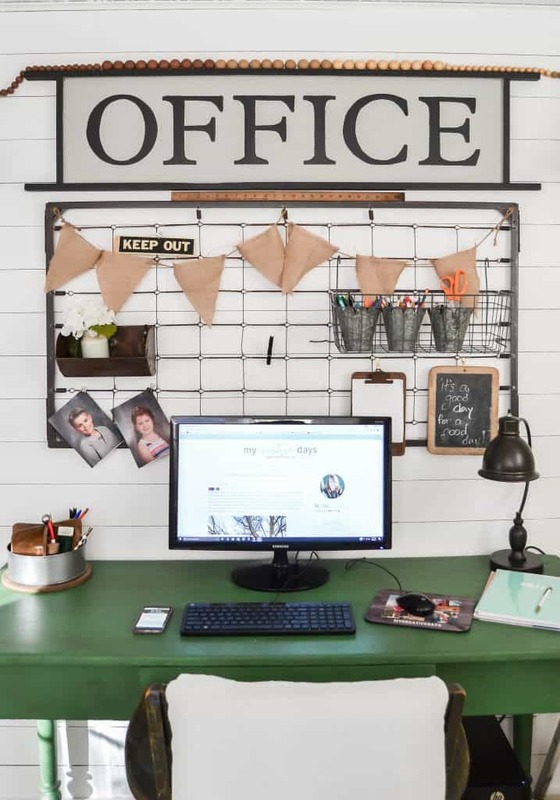 What is a home office makeover on a budget with a small $75 sign? Not mine, that’s for sure. So, like everything we do around here, I knew if I wanted to have an office sign above my desk, I would have to make one. Why do I even try it the other way? It never works out. I am always happier DIYing it anyway. I will learn some day. I just get to a point in every room makeover that I just want it to be done. I am working on that “patience” thing in 2017. Be present in this process, Lindsay. I am. I am. My DIY Office Sign made the process fun. It fit in the spot I wanted it perfectly and it is more special because I made it. I have to tell you that I have had some coincidences lately that have made this budget decorator very happy. In the past few months, there have been about ten times that I have wanted to buy something either online or in a store and decided against it because of the price. The crazy part is that then I would go on a thrift store/Restore hunt and find exactly what I was going to buy. I am not even kidding!!! Matt has been with me a couple of the times and now when it happens, we just look at each other and laugh. It is so crazy! It is the budget-saving gods looking out for me all the time. 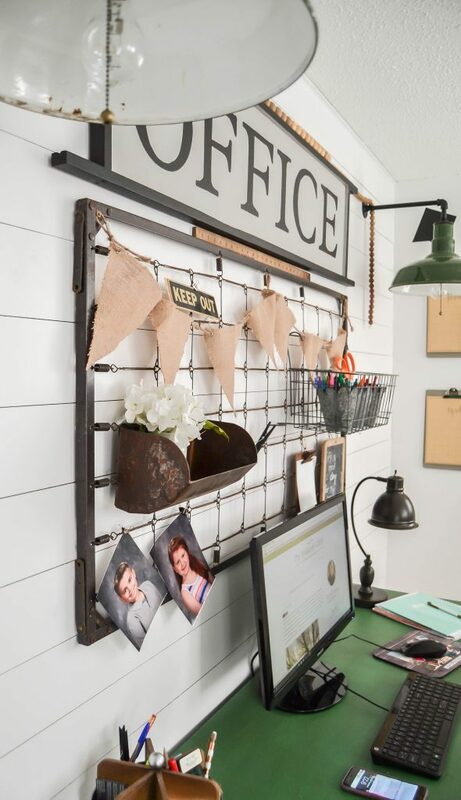 That is exactly what happened with this DIY Office Sign. I came across this piece at my local Restore after I saw all the high-priced office signs online. Literally, it was the same week! 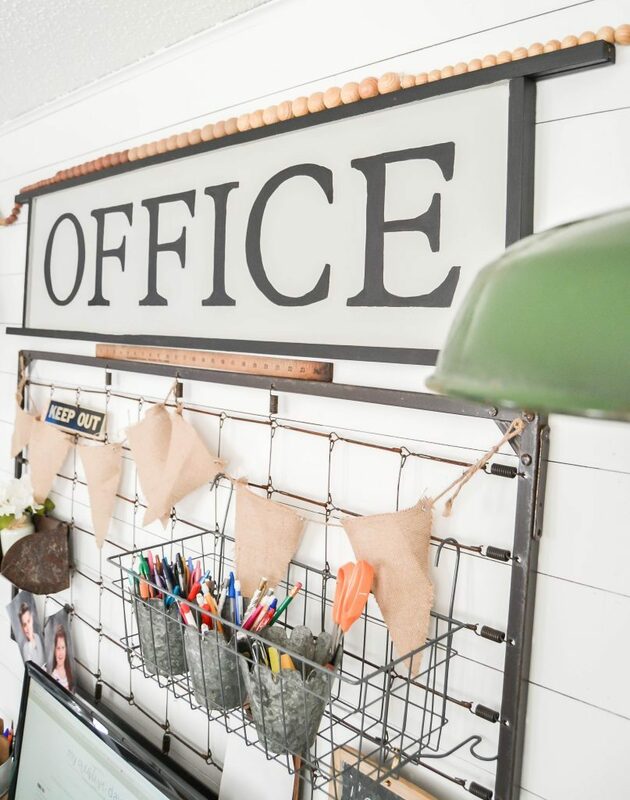 Just like the DIY sign I made for our kitchen makeover, I wanted this DIY Office Sign to be black with either a white or light gray background. 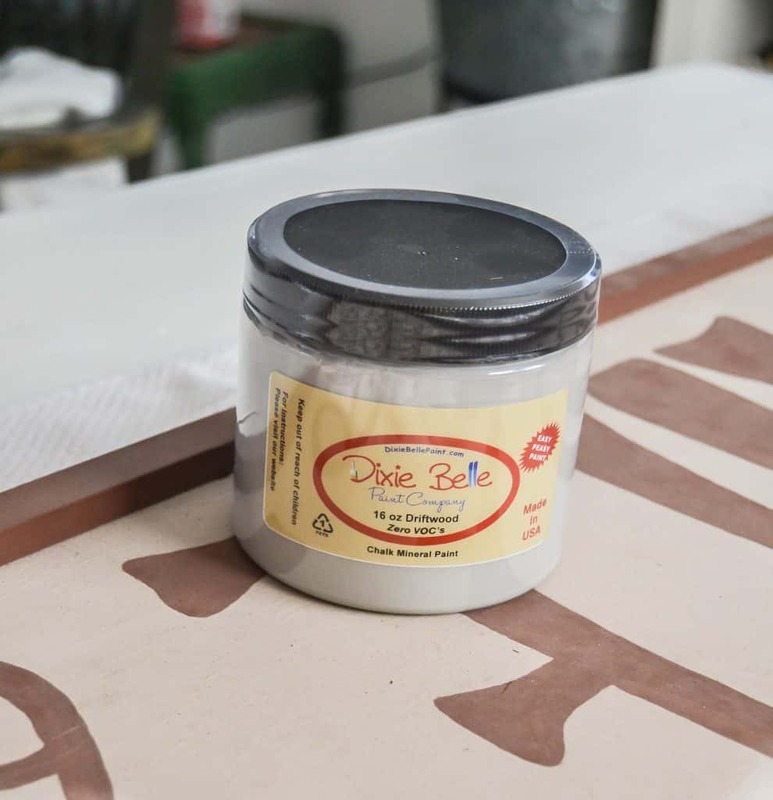 I decided on “Driftwood” from Dixie Belle Paint Company for the background and “Coal Black” from Fusion Mineral Paint for the trim and the letters. I used my Cricut to cut letter stencils for the sign. I don’t want to sounds like a broken record, but if you have not invested in a Cricut, you should. I use it for so many projects like this and it has saved me so much money which in turn has paid for the actual machine over and over again. This is a little sneak peek of where we are with the office. It is still a work in progress and even this little area will change some, but I was really excited to show you the DIY Farmhouse Office Sign that I made for $2.50! I have been hanging onto the this crib piece for this exact spot. Do you see what I mean when I say this sign fit the spot perfectly?! The power of DIY. You can make anything you love for a fraction of the cost. 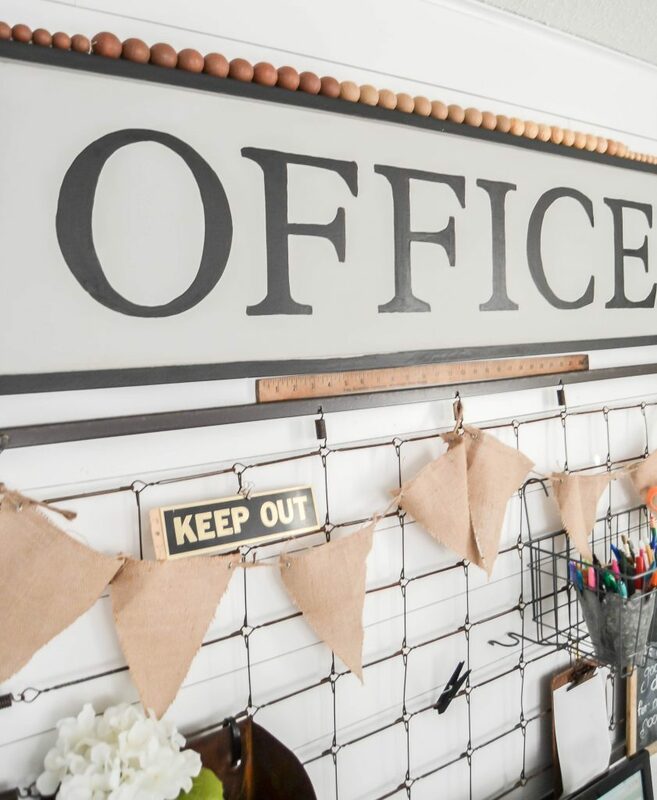 This DIY Office Sign didn’t take a ton of time to make. I am thankful for my Cricut over and over again when I finish projects like this. It has saved me so many times. Make sure to follow along with me on Facebook and Instagram for a “behind-the-scenes” look on how this creative madness happens! 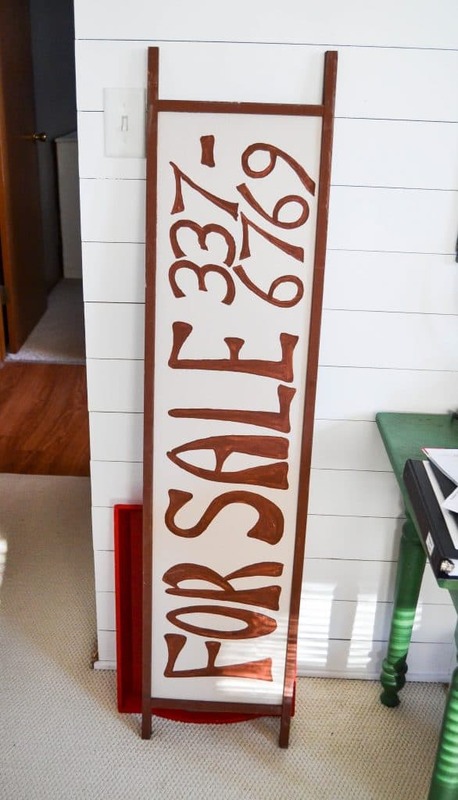 Do you have signs in your home? What do they say? I have been saving my son’s crib springs for 17 years waiting for THIS! I suppose it was more a case of them being buried and I just never delved into that corner. Lol I have been dreading a move in my future (about a year out) but this is giving me an antsy feeling that I want it to happen sooner so I can get this made! 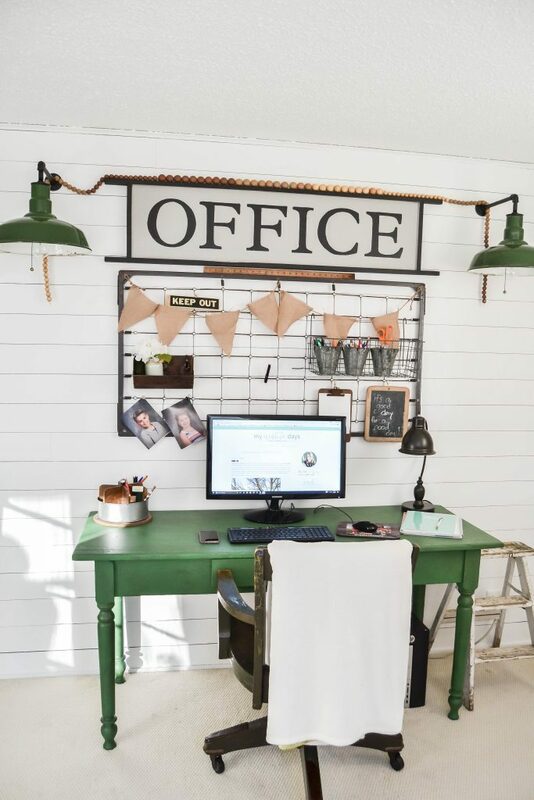 What is the name of the green paint on the desk? Did you use a glaze on the desk as well? I put some Antique wax over it. What font did you use for the sign? What a great way to save and display your son spring to his crib. I love t! Also, it’s very useful tge way you displayed it. Excellent ide, and fabulous.